Mine may be the only dinner table in America where family members engage in heated discussions about both Monty Python and the five paragraph essay on a regular basis. Monty Python? Lots of people have something to say about that. But the essay? Yeah, that’s my family. Even my sixth grade son, who has only written a single five paragraph essay, back in fifth grade, has an opinion on the matter, having heard his high school siblings (and me) rail against it for years. What’s my problem? Let me lay it out for you. The five paragraph essay is not even a real thing. Well, it is a real thing because children write them, but the whole concept is ridiculous. No one has ever had to compose one in real life. Reports, yes. Term papers, of course. Proposals, blogs, articles, speeches, most certainly. Five paragraphs? Are you kidding? When faced with real world writing assignments, students often try to shove their content into a five-paragraph structure, or they throw up their hands because they think they can’t write. All they know is structure. Call it five paragraphs, seven paragraphs, intro-evidence-conclusion… It doesn’t matter. These are the questions I get when I work with high school and college students: Where does the thesis go? What do you mean my personal narrative doesn’t need a conclusion? Is this a good transitional phrase? They don’t understand what they’ve been doing. They just recognize the five-paragraph box and know how to place familiar elements into it. I know I will get pushback from accomplished English teachers for painting with such a broad brush. I welcome feedback and examples that demonstrate creativity and exploration. For better or worse, I am not the first person to bring this up. In 1991, Thomas Nunnally, Emeritus professor of English at Auburn University, wrote this article in English Journal, which is published by the National Council of Teachers of English. As Nunnally put it so succinctly, “Students should be encouraged to see the FPT (five paragraph theme) for what it is: a helpful but contrived exercise.” Keep in mind that he wrote that sentence 25 years ago, when many of today’s English/Language Arts teachers were still in school. No wonder they don’t know how to teach outside this format. It’s what they learned as students. 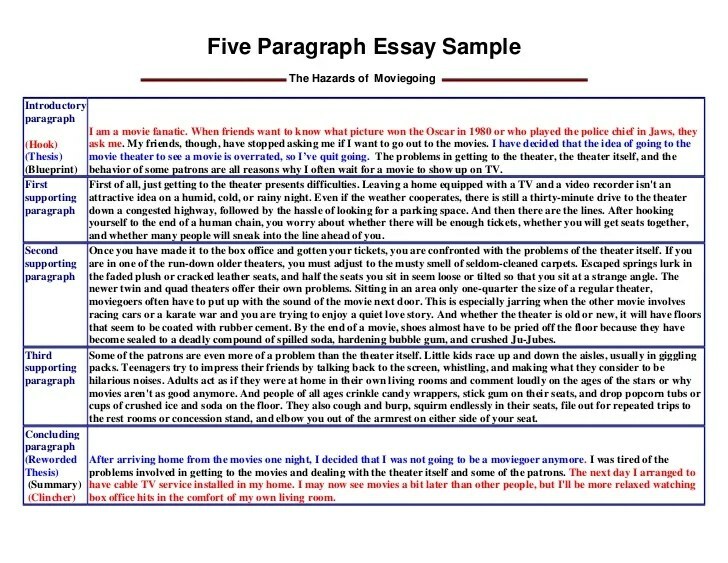 And yes, when teaching students to move from sentence to paragraph to multi-paragraph writing, it seems to streamline the process of explaining essays and what they are meant to accomplish. Unfortunately, by simplifying essay-writing, we’re dumbing it down. As my 15-year-old puts it: They said we’d learn the rules so we could break them later. When do we get to start breaking them? I run workshops where I teach English teachers to think and teach like writers. Many of them don’t know how to break the rules themselves. How could they possibly teach their students to do so? Imagine you wanted to prepare kids to build houses. Let’s start even smaller. Imagine you wanted to prepare kids to build birdhouses or doghouses. So you start out showing them how to safely pound nails into blocks of wood. Lay a block of wood on a table, hand the child a pile of nails and a couple of different hammers, and let her go at it. A five year-old could master this task. By second grade, you even let her practice hammering the nails in horizontally, as though the block of wood were a wall. And then you offer a test: Pound these nails into this block of wood. A kid could even practice for that. Wood block test centers nationwide would sell kits and lessons. Children would become incredibly proficient at pounding nails into blocks of wood. Unfortunately, they wouldn’t know the first thing about building a birdhouse. Okay, so you could offer some other basic lessons in gluing and measuring and other building skills. 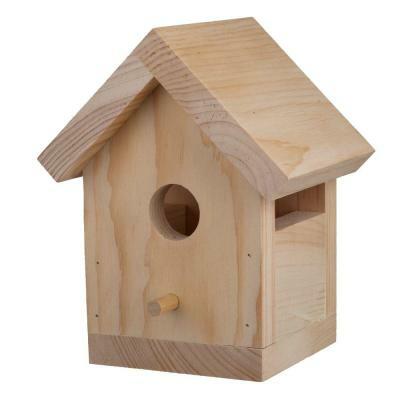 By the end, kids would all know how to build a 7.5 x 6 inch birdhouse with a sloping roof and a quarter-inch dowel for a perch. The five paragraph essay is like that. Paint it blue, red or striped, they’re all pretty much the same. How about this, instead: Teach kids about evidence. Teach them about making a point (I just did this with a roomful of fourth graders. It was a blast, and after 45 minutes they understood what a thesis was.) Teach them to use the same content in a myriad of different forms. Teach them to open the same essay in all different ways – with an anecdote, a quote or a passionate opinion. Teach them to read their own work and the work of others with a critical eye – not simply in search of technical elements but in search of meaning and creativity. I have a lot to say about this, so I’ll write more another time. I’m on a crusade to blow up the five paragraph essay. If you find a piece of it in the street, feel free to run it over with your minivan. Just be sure to send me a photo. In the meantime, check out The Argument Clinic from Monty’s Python’s Flying Circus. It’s one of my favorites. Most certainly mistaught. Definitely teachable. Thanks for sharing your article. Let’s continue this conversation.